Slideshare is at the content marketing sweet spot between text and images. With 60 million views per month and 10,000 uploads per day, SlideShare is underrated by most content marketers. Additionally, 70% of its traffic comes from search. Don’t take my word for it. Youtility author Jay Baer believes SlideShare is the social network to watch for content. To help you craft your combination text-visual content, here’s a set of actionable tips to get your information on track and what to avoid. Want to get in the SlideShare spotlight? Be hand curated (aka selected) by the SlideShare team. Before posting your presentation, do your competitive research and check what’s currently getting promoted on SlideShare’s front page. Remember that, like other forms of content, your presentation is competing for eyeballs so that you must stand out. These 7 actionable marketing tips will help you to craft presentations that rock SlideShare. 1. Write an attention getting title. This shouldn’t be a newsflash for content creators since 80% of readers never get beyond any title. Craft your presentation title to be within the 70 character limit. You want visitors to be able to see your entire heading. 2. Make your presentation cover slide shine. Like a magazine cover at retail that has to jump off of the shelf, your presentation cover is about grabbing your potential viewer and pulling him in. Spend roughly 50% of your presentation creation time on the title and cover slide. This is similar to Upworthy’s creation of 25 titles per piece of content before determining the best one. Be provocative and clutter-free. The objective is to focus your reader’s attention on one key element. Make the image 50% or more of the slide. People are programmed to see visual information 60,000 times faster than text. Most of the slide should be an image. Consider your slide flow. Your presentation must pull the reader along without the benefit of commentary. 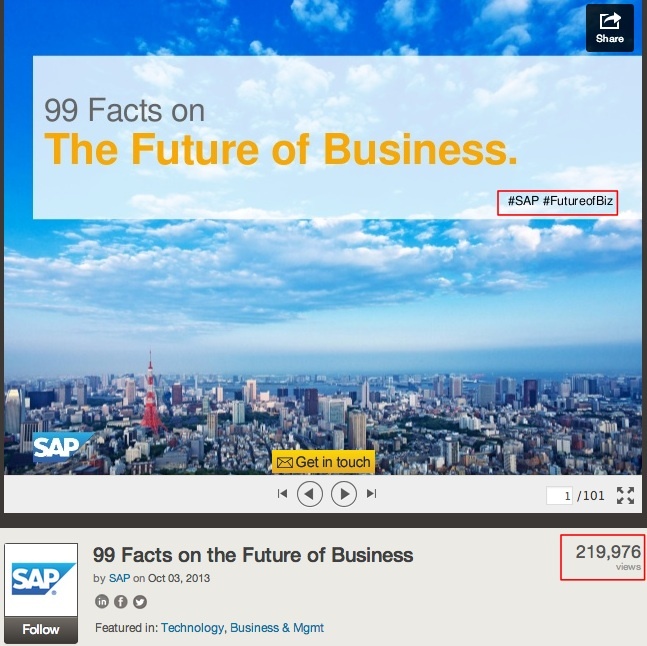 Take advantage of news and trending topics to stand out on SlideShare. Don’t be another list like everyone else. Be a design, style and content a trendsetter. Create content that inspires others and makes them want to emulate it. 4. Be social. 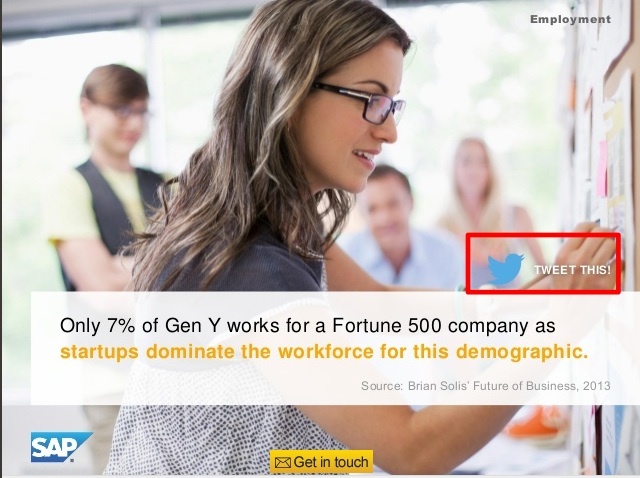 Just because SlideShare is visual, don’t forget that it’s a social network owned by LinkedIn. The rules of social media apply. 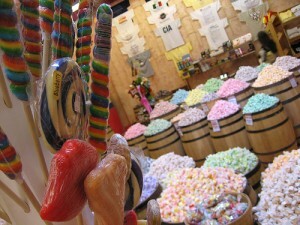 SAP uses a variety of means to encourage sharing. This presentation was inspired by a senior executive’s talk and created specifically for SlideShare. Note the use of hashtags and ClickToTweet. Skip the promotion. Use a premium version of SlideShare to incorporate information capture or use the last slide at the end of your deck to reference your work.. Interact on SlideShare. Comment on other people’s presentations and respond to comments on yours. Connect your LinkedIn and SlideShare accounts. This expands your reach. Facilitate sharing your content. Incorporate ClickToTweet and links to related resources in the body of your presentation. Find influencers in your niche. Then follow them and engage with their content. 5. Leverage your presentation. Maximize the power of your content creation efforts. Extend your content creation beyond SlideShare. Distribute it across various social media and owned media platforms. Cross-promote your other SlideShare presentations. Just as you would put links to related posts at the bottom of each blog post, recommend your other SlideShare presentations at the end. Bottom line: You get more chances to attract an audience. Case study: Starting with a white paper, Kelly Services created 3 distinct presentations instead of just 1 to share on SlideShare. Leave it to Todd Wheatland, author of The Marketer’s Guide to Slideshare., to push the limits of the network. As a result, they received 10,000+ views, acquired 1,000+ new subscribers, and generated 250+ leads that were accepted by their sales team. Create multiple presentations around the same topic or major piece of content. 7. Create a campaign around your SlideShare presentations. Before post your presentation on SlideShare, plan how you’re going to get the word out about it. Think content distribution. 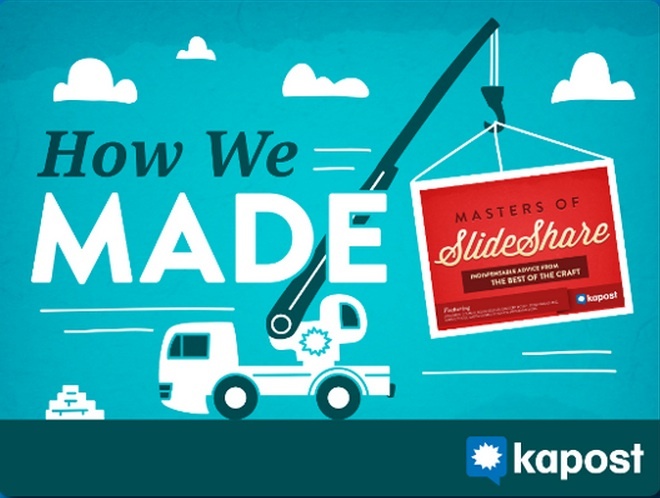 Case study: For their presentation, The Masters of SlideShare, Kapost also created a series of 13 blog posts containing interviews with each master, a webinar and a related behind the scenes presentation. Develop an extended promotional plan around each major piece of content that you place on SlideShare. Don’t use a template. To keep your audience engaged, tell a visual story. Set in stone templates can hinder your flow. 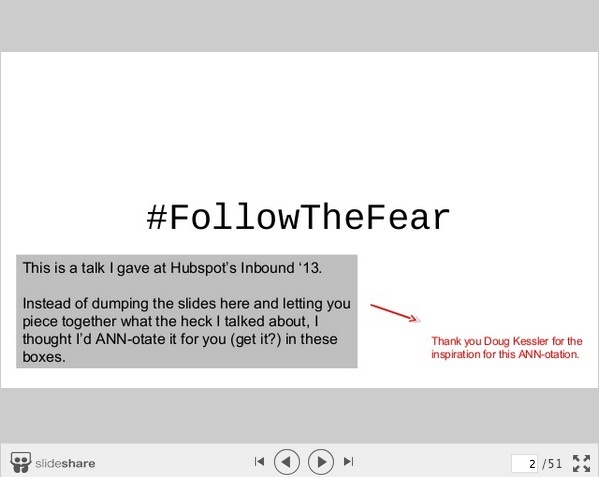 Don’t repurpose your live talk on SlideShare as is. Slides used for a talk are guideposts, not the full presentation. The speaker provides additional stories and context. Therefore, enhance your slides from talks when posting them on SlideShare to ensure that they can stand-alone. Here’s a great example from Content Rules author Ann Handley. Don’t rely on your presentation description. Make sure that your presentation can exist without its description since it’s removed when a presentation is embedded on another site. With the growth of visual content, SlideShare should be an integral part of your content marketing plans. Use these actionable marketing tips to ensure that your presentations perform their best on this underspoken social media content platform. What other SlideShare marketing tips would you add to this list and why? PS – Here’s link to my SlideShares. Tags Ann Handley, BlogShare, Jay Baer, Kapost, SAP, Slideshare, Todd Wheatland. Bookmark the permalink. Terrific tips and examples Heidi. Thanks! Nice article. Through is that SlideShare is a very popular site now and it makes a very interesting way of dispensing information. Great ideas and good actionable tips. Awesome article! I love the suggestion of embedding click to tweet links. I hadn’t thought of that. I’m afraid to take the “can my slides stand on their own without text” challenge; but I think it’s a great reminder that Slideshare is after all a visual medium. Glad to be of help! Don’t forget to use other ways to get viewers to share you content as well such as hashtags.